Remote work has become the most influential trend on the labor market in the last few years. It enables employers to cut the logistics costs, while employees have the opportunity to achieve a work-life balance and avoid commuting. This is why freelance economy grew to 55 million Americans last year, which is more than a third of total U.S. workforce. It’s also why it’s important to pay attention to tools that can make your remote team work faster. Hiring a group of remote workers doesn’t guarantee success because you still need to establish the right kind of company culture and utilize a set of digital tools to make your business profitable. In this article, let’s take a look at 12 helpful tools that can make your remote team work faster. The Internet is full of useful collaboration tools, so it’s rather difficult to choose only 10 items. But after a couple of weeks of weighing pros and cons, I picked two tools in each of the five different categories. Remote teams demand extra attention to task management and can use tools like Trello, Worksection, or Fleep to set, monitor and control tasks completion process. Trello, the card-based project management software, is perfect for teams of all sizes which conduct multiple tasks simultaneously. Each task is presented on the dashboard and everyone can see how it progresses. Besides that, team members can add comments, checklists, and due dates. Although it offers a lot of collaboration functions, Trello is simple to understand and use. It doesn’t come for free but the prices are reasonable – around $12 per user per month. Worksection has only one purpose and it’s to make your business easier. It splits projects into stages, tasks, and subtasks. Using its timeline visualization, you can never forget due dates. Its user interface is friendly and simple, allowing you to see all details at a glance. This tool is perfect for large units with dozens or even hundreds of remote workers involved in the everyday business. The price depends on the features you choose such as the number of users or projects and file storage capacity. Fleep Tasks offer lightweight task management planted natively in the collaboration software. While Fleep Tasks are not as complex and feature-rich as Trello or Worksection, Fleep Tasks definitely have the benefit of context. This means the tasks are created and managed in the context where discussions take place and decisions are made. Additionally, the basic functionality is available to use for completely free — and Fleep for Business offers admin controls for those who need them. If you’re new to remote work, you may want to consider using some productivity tools as well. Time management tools like Forest and Pomodoro, and automation tools like SharpSpring can help you out here. Forest is an alternative method to save your time and use it productively. It enables you to stay focused on work planting a digital tree. As long as you keep working, the plant will continue to grow and become a beautiful tree. But as soon as you open one of the websites from your blacklist – Facebook or Reddit, for instance – the tree will wither away. The app is cost-free. Pomodoro helps users to improve time management. It’s a great app which integrates with other software products that you use and allows you to handle tasks in a timely manner. SharpSpring is a highly-rated global provider of affordable, ​cloud-based marketing automation​. Marketing agencies and businesses use SharpSpring to generate leads, improve conversions to sales, and drive higher returns on marketing investments. Known for innovation, open architecture, and exceptional customer support, SharpSpring offers flexible monthly contracts at a fraction of the price of its competitors. This is a key element in each business, especially when making payments. Toggl and RescueTime will give you a hand with this feature. Toggl is an online time-tracking app which follows and analyzes time entries to determine the productivity of each remote employee. It monitors all activities in real-time through the cloud service and reports about the efficiency of any given project. It detects where you lose most of the time and suggests what it is that you can change to become more productive. You can use the starter pack, enterprise solution, or a premium member option. RescueTime follows and analyzes your daily habits to see how you spend your time online. It runs in the background of your IT gadgets and gives you a precise overview of activities each day and you can set it to remind you of certain tasks. The best thing about RescueTime is that it sends you a notification when you surpass a daily usage limit, for instance on Facebook. You can take a free 14-day trial before switching to the premium version. Or you can simply use RescueTime Lite for free. Time Doctor is an employee time tracking software. It’s a capable time tracking tool that can do a lot more than just track your time. A web-based solution, its features include computer work session monitoring, reminders, invoicing, screenshot recording, reporting, integrations and more. As such, it is a great all-in-one solution with way more to offer than your average time tracking tool. You can try Time Doctor for free for 14 days, after that it’s $9.99 per user per month. A convenient and fast file exchange is extremely important for remote teams, which is why they use Google Drive and Dropbox. Google Drive is one of the most popular online collaboration tools worldwide, so we really think it doesn’t need a big introduction. To put it simply, Google Drive changed the way professionals in all industries share and exchange ideas, files, and documents. It allows individual users up to 15 GB of free file storage. Dropbox is another world-known remote work service. This cloud-storage provider gathers more than 500 million registered users globally thanks to the effective file sharing solutions. All your documents are stored centrally and you can find them without problems using anyone of your electronic devices anytime you need them. It is free for freelancers and individual users but you can also try Dropbox Business free of charge. Serious businesses demand precise and serious writing skills. Bestessays.com.au is a highly professional editing service. Bearing in mind that most of the remote teams don’t include expert editors, it is essential to keep your official documents error free. This is especially important when it comes to public files, company presentations, and client proposals. Bestessays.com.au can help you with all sorts of tasks: from case studies and research proposals to speeches and PowerPoint presentations. Their prices differ based on the type of work, timing, and the level of quality that you demand. Professional Editing Services is one of the best agencies in the field when you demand value for money. Their turnaround times are excellent while the price is just $0.032 per word. You won’t be charged for document revision if it’s the writer’s mistake. There is a 25% price increase in case you demand a specific styling work – but it’s definitely worth it. The market is full of good tools — and the tools highlighted in this blog post are the ones that came in most handy for me. These tools can really make your remote team work faster. Zake Alfie is an SEO blogger and search engine optimization expert. 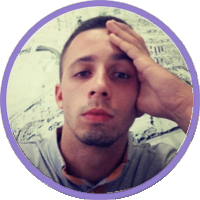 He is in charge of several online projects and provides consultations on optimization and website promotion. He loves experimenting and finding new SEO tactics.